Al Jazeera establishes new digital division. Doha, June 2016: Al Jazeera Media Network has announced the establishment of a new Digital Division in alignment with the network’s objectives to innovate and lead in the development of digital products, services and platforms. The decision announced in a network circular by the Acting Director General Dr. Mostefa Souag, appointed Dr. Yaser Bishr as the Executive Director of the new division. Previously, Dr. Bishr served as Executive Director for Corporate Strategy and Development and led various digital projects for Al Jazeera Media Network such as the conception and launch of AJ+ in 2014. Under Dr. Bishr’s leadership the new Digital Division will oversee the development of all digital products, services and platforms for the Network with an aim to address the rapidly evolving digital media landscape. The Digital Division will seek to expand Al Jazeera’s audience-base, providing content wherever they are, at any time, and across all digital platforms. During the past two years, Al Jazeera’s AJ+ has achieved remarkable success exceeding four billion views in its English version. The network recently launched AJ+ Arabi, which has also attracted more than 55 million views during its soft launch. Testament to the Network’s pioneering digital work are a large number of international awards, including the Shorty Award obtained by AJ+ as the most present digital channel on Facebook as well as two Webby Awards for people’s choice. Similarly Al Jazeera’s English website swept many awards at the Online Media Awards, most notably the Best Website while also winning best media toolkit, best use of photography and Best Digital editor awards. 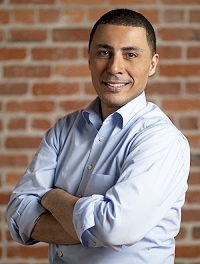 Dr. Yaser Bishr holds a PhD in Computer Science from Twente University in the Netherlands, and a Masters degree in Business Administration from Duke University, Fuqua School of Business, in the US. Before joining Al Jazeera Dr. Bishr worked as the Director of Strategy and Technology Innovation at Lockheed Martin in the US.